Media and the public are invited to an important public meeting and open house as DC Water discusses the District’s aging water and sewer infrastructure with the community. The meeting consists of a formal presentation to discuss the types of projects that DC Water undertakes, our criteria for project selection, our construction processes, and other related topics. Staff will be on hand to answer questions on infrastructure and a wide range of other topics. When: Saturday, September 8, 2018; 2-4 p.m. Parking: Parking lot located behind the facility. Push the button by the gate and announce that you are there for the DC Water Infrastructure Forum. OSHA is preparing to release a FAQ regarding their Respirable Crystalline Silica Standard for Construction. In advance of that, we have prepared a 3 page document for your company. On Tuesday, July 31st, H.R. 2353, the Strengthening Career and Technical Education for the 21st Century Act was signed into law. This legislation reauthorizes the Carl D. Perkins Career and Technical Education Act (Perkins Act), and it was one of our priorities during the Washington Summit. As was reported last month in NUCA’s Political Insiders report, the Senate finally came to an agreement on this legislation, which allowed the bill to move forward. 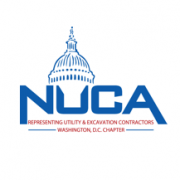 Here is brief recap of the final version of this legislation and specifically highlight provisions that will benefit NUCA. The Perkins Act is the main federal support for state and local CTE programs. These programs help prepare high school and community college students with the knowledge and hands-on experience necessary for jobs in a broad range of industries. H.R. 2353 had enormous bipartisan support when it finally moved through Congress, with both the House and Senate passing the legislation by voice vote without any objection. This legislation increases funding for CTE programs and makes numerous reforms to ensure that programs better serve the needs of students, employers, and local economies. The changes in H.R. 2353 will place more responsibility on states to align their programs with local needs. The bill also encourages stronger engagement with employers by involving local business leaders in the development of CTE programs and goals. The legislation also reduces regulatory and paperwork burdens on states, while proving a framework to guide states to set and meet strong performance standards. Additionally, the final version of the bill changes current law to allow CTE funding to be used for programs as early as 5th grade. More specifically, H.R. 2353 actually requires funding recipients to include how they will provide career exploration for middle school students in their implementation plans. These provisions accomplish the same goals as the Middle STEP Act (addressed in a previous Political Insiders), which was ultimately not included in the final version of the bill. These are welcome changes that can help students gain exposure to our industry and work at an earlier age. During the Washington Summit and other conversations, NUCA members have consistently expressed their interest in reaching out to students and letting them know about the career-path opportunities that are available in our industry. As the implementation of this law moves forward, please reach out to your local school districts if you are interested in getting involved with these programs. Also, please continue to keep our team at NUCA informed of your work with local educators and community colleges. This information is invaluable as we work with legislators and agencies to show the hard work that you are putting into these education efforts. Rockville, Maryland, June 29, 2018 – Insurance Associates, now a Marsh & McLennan Agency LLC Company, is proud to announce that we joined Marsh & McLennan Agency LLC (MMA), a wholly owned subsidiary of Marsh LLC. Marsh formed MMA in 2008 to primarily serve the property/casualty, surety, and employee benefit needs of clients throughout the country. Since that time, MMA has been building out its national platform by joining forces with entrepreneurial insurance brokers across the country. Insurance Associates is proud to announce that we will now be part of the Mid-Atlantic region for MMA. To learn more about our new organization, please visit www.mma-midatlantic.com. “Insurance Associates is an excellent addition to MMA as it expands our presence into the greater Washington DC region and further enhances our construction capabilities,” said John Stanchina, president and CEO of MMA’s Mid-Atlantic Region. IA, a MMA LLC Company, is locally based with the resources and backing of a national agency. There are offices in Rockville, Fairfax, Laurel and Towson and the agency has been advising and protecting clients for over 60 Years! IA, a MMA LLC Company prides itself on having one of the most competent, experienced, and knowledgeable workforces of any agency in the area. The agency works with clients in all industries for their group benefit packages and personal insurance, but their expertise is in the construction industry for commercial insurance and surety bonding. For a little bit about what makes IA, a MMA LLC Company so different from the rest, click here for Employee Benefits, here for Commercial Insurance, and here for Surety Bonding and learn the IA, MMA difference! For more information about our passion and the rest of our team at Insurance Associates, a Marsh & McLennan Agency LLC Company please visit us at www.insassoc.com, follow us on LinkedIn and like us on Facebook. Today, the Board of Directors of the District of Columbia Water and Sewer Authority (DC Water) voted to provide additional rate relief for low income customers. The resolution unanimously approved by the Board directs the General Manager to transfer $6 million from the Rate Stabilization Fund to the FY 2019 Budget to expand DC Water’s Customer Assistance Program to mitigate the impacts of increases in retail water and sewer rates. In addition to the funding approved by the Board, the District Government has set aside $7 million in its 2019 Budget for assistance to residential customers and not-for-profit enterprises. DC Water’s existing Customer Assistance Program (CAP) is administered by the Energy Office at the District Department of Energy and Environment (DOEE) and provides eligible customers with discounts on their water and sewer charges and other fees on their monthly bills. In the resolution approved today, the Board of Directors instructed management to expand the CAP program to provide assistance to more low income customers in the new fiscal year. Rockville, Maryland, June 26, 2018 – Insurance Associates and The Selective Insurance Group Foundation joined forces to support the positive efforts of Patriot Point through a $1,000 grant. The Selective Insurance Group Foundation is a philanthropic affiliate of Selective Insurance Group, Inc. (Nasdaq: SIGI). “The work that Patriot Point does to help our nation’s warriors so they can reconnect with their families, decompress after deployment, and just take some time to rejuvenate is vital to our community. Our service members face challenges abroad while working to maintain our safety and security so this is one way for us to give back to them” said Stephen A. Spencer, President, Insurance Associates. The grant represents a $500 donation from Insurance Associates, matched by a $500 grant from The Selective Insurance Group Foundation. The grant will help Patriot Point’s efforts to provide a relaxing and safe environment for our nation’s wounded, ill, and injured service members to enjoy outdoor recreational activities with their families. “At Selective, Response is everything®… and this includes responding to the communities where we live and work to give back and help those in need. Together with Insurance Associates, we are proud to support Patriot Point and its efforts to make a difference in the community,” said Chuck Musilli, Executive Vice President, Chief Human Resources Officer, Distribution Strategies, Selective. IA is a locally-based firm with offices in Rockville, Fairfax, Laurel and Towson that has been advising and protecting clients for over 60 Years! As a locally owned company, IA prides itself on having one of the most competent, experienced, and knowledgeable workforces of any agency in the area. The agency works with clients in all industries for their group benefit packages and personal insurance, but their expertise is in the construction industry for commercial insurance and surety bonding. For a little bit about what makes us so different from the rest, click here for Employee Benefits, here for Commercial Insurance, and here for Surety Bonding and learn the IA difference! For more information about our passion and the rest of our team at Insurance Associates, please visit us at www.insassoc.com, follow us on LinkedIn and like us on Facebook. Selective Insurance Group, Inc. is a holding company for ten property and casualty insurance companies rated “A” (Excellent) by A.M. Best. Through independent agents, the insurance companies offer standard and specialty insurance for commercial and personal risks, and flood insurance underwritten by the National Flood Insurance Program. Selective maintains a website at www.Selective.com. SELINSGROVE, Pa. – When officials at the Ashtabula County Port Authority in northeast Ohio discovered on New Year’s Eve 2017 that they had a leak in a 36” cast-iron water main that provides cooling and chiller lines for a nearby industrial park, they had no way of knowing what it would take to fix the broken line quickly. First, they called Ashtabula-based Union Industrial Contractors, Inc. for help. The excavator and bridge contractor reached out to its usual waterworks vendors in search of the materials it needed to perform the repair. Unfortunately, securing two new sections of 36” class 53 ductile-iron pipe, a 36” x 45” mechanical-joint elbow fitting, two mechanical-joint long-pattern sleeves and six 36” Megalug® mechanical-joint restraints in time to perform the repair by the client’s January 4 goal didn’t seem feasible. The soonest one of the company’s regular vendors could deliver the materials to the customer’s job site was January 9. On Tuesday, January 2, Cochran called LB Water. Jim Haworth of the company’s Stoneboro facility took the call. Haworth said it is LB Water’s commitment to provide superior customer support and maintain a deep inventory of diverse parts – as well as the company’s close relationships with its Mid-Atlantic customers – that combined forces to help Union Industrial Contractors meet the water authority’s tight deadline. “The fact that LB Water was able to meet the customer’s original deadline — when other waterworks vendors could not — demonstrates just how committed we are to supplying the materials our customers need, whenever and wherever they need them,” said Haworth. “We not only gained a new customer in Union Industrial Contractors, but we also earned the respect of Aqua Ohio, the Ashtabula Port Authority, and the City and County of Ashtabula,” said Haworth. LB Water is a solutions-based provider of waterworks-infrastructure products to cities, counties, municipalities, private water and sewer authorities, and contractors throughout the Mid-Atlantic region. Its products include water-metering technologies, water infrastructure, sanitary and storm sewer systems, specialty products, and environmental (erosion and stabilization) solutions. It is a 100-percent, employee-owned organization. Founded in 1970 by Lehman B. Mengel, the company employs 200+ people at eight locations in Pennsylvania, Maryland, and Virginia.